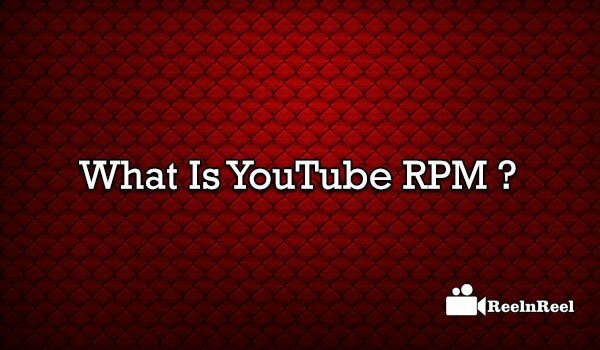 Home » Mobile Video » What Is YouTube RPM? YouTube is like a video ocean where the advertisers and marketers go on fishing their possibilities to develop their brand strategy and marketing leads. YouTube provides many opportunities to the independent creators and artists and also transformed the standard users to the stars on the platform. Today many YouTube star vloggers are earning the huge sum of revenues from the brand deals from many other sources. That revenue is called YouTube RPM. Some millions of hours of content were posted on YouTube across the countries, and it is very confusing to know your rank among the millions. So, YouTube platform has specific measures to see the ranking and the present stage of your YouTube channel specifically. The YouTube RPM is also one such measure which is helpful in estimating the channel growth. RPM defined as Rate per Mille or the rate per thousand impressions that means one thousand view counts. The monetizable views can be calculated to measure which depended upon the different advertising options on the YouTube platform. The measure also includes the in-stream ads and the other video ads. It is different from the CPM measurement as CPM measure is base on the single ad type and the ad unit whereas the RPM depends on any video ad but prioritises the in-stream video ads as primary. The measurement of RPM helps you to improve the channel and can edit your videos and re-purpose the content basing on the statistical data obtained by the RPM measures. The users can also enhance the RPM rate of your channel by following various strategies to increase the RPM rate. RPM referred as the Revenue per 1000 views which deals with the earnings of the YouTube channel at an average per thousand view count on the platform. The revenue can earn by the user based on some video ads that placed in your YouTube video on the platform. The RPM’s play an important role in earnings; it is a perfect measure to know the growth of revenue that your channel has acquired from the ad placements. Sometimes, you may not get satisfied with your current revenue rates from RPM count, and many of us like to increase the RPM to earn more. Here are some best ways to improve the RPM. MCN’s plays a significant role in your channel’s visibility and exposure. Collaboration keeps your channel get matched at top results obtained during the search by a user on the platform. So, YouTube pays more to the ad campaigns basing on your history of the channel and the connections you have made with popular MCNs. Step out from the crowd and think innovatively. Create a different style of content on the similar or same topic and continue generating the content on a single category. If you want to stick for beauty category, then continue with the same topic. Ad campaigns target the content which targets specifically. Target one Topic can help you to increase the RPM rate. Try to get connected with the subscribers and engage the audience with your posts. Try to increase the video watch time which can help your video to get placed under the suggested videos section on the platform.